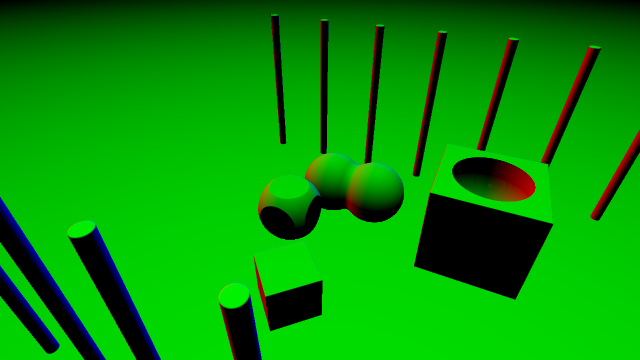 The addition of anti-aliasing to my GLSL-based raymarcher (part of ToyShader) does result in cleaner visuals as expected (see image-sequence below), but the performance-hit is considerable (especially on my laptop’s intel HD4000 GPU). 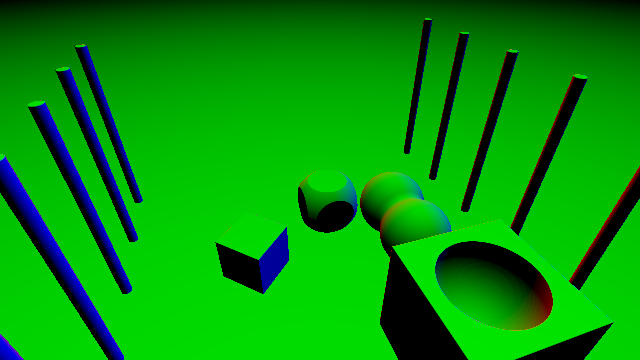 Before this can be enabled by default, I need to implement over-relaxation of the raymarching-steps. 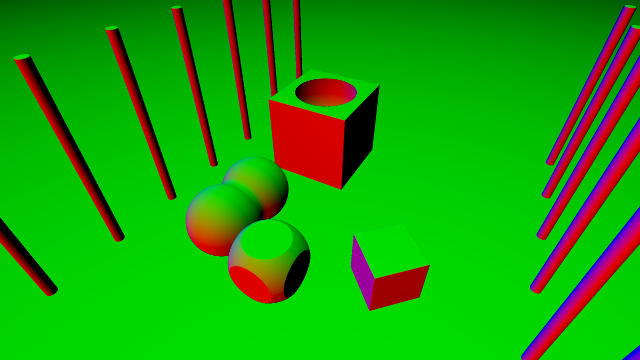 This allows to traverse the view-ray for each (sub-) pixel in larger steps – compared to classic raymarching/sphere-tracing – resulting in a considerable speed-up. The paper “Enhanced Sphere Tracing ” by Keinert et al. introduces this improvement among other enhancements with regards to rendering-quality.